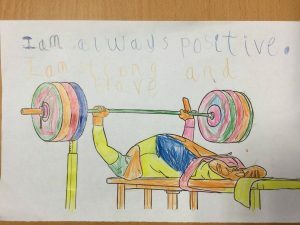 St Joseph's Catholic Primary School & Nursery | Current affairs in Year 1! 09 Nov Current affairs in Year 1! 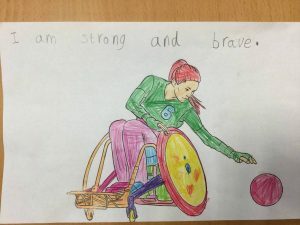 This week we have continued learning about our current affairs topic on the area of disability. We learnt about the ‘Invictus Games’ introduced by Prince Harry and discussed why he had started them. 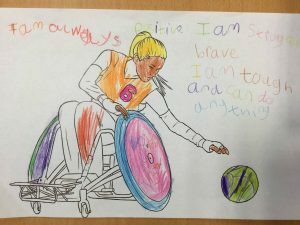 The children designed their own ‘Invictus Games’ posters using motivational ‘I am’ statements. Have a look at some of our work below! Please join us for the Harvest lunch at 2pm next Friday where Year 1 will be performing.